My first dip into the pool of positive reinforcement training came when I adopted a five month old feral Great Pyrenees. Grace had never been in a house. She had eaten out of a cattle trough, along with her litter, until the rancher gave each of the puppies away. She had never been touched by a human. She didn’t understand English because she was a dog. She understood dogs perfectly because she had been born and lived on a ranch with at least a dozen fellow canines. When she came home with me, I was at a loss on how to get her to come to me, to accept my touch, to even want to be in the same room with me. At 10 months of age, she still would not come to me, ducked when I touched her and flat out ran away when a stranger came within ten feet of her. The only highlight I could see was that she chose “flight” over “fight” when it came to her fear of humans. In desperation, I took a training class that was based on the tenets found in Jean Donaldson’s book “The Culture Clash,” an in-depth look at how humans attempt to train their dogs the way they train their children or their spouses. In other words, we forget that canines are not primates and have their own language. What I learned from both the class and from “The Culture Clash” is to speak canine. To learn their language. And to accept some facts that went against the grain of everything I had ever learned before. All dogs have a well-developed olfactory system. They can smell scents that the human nose can’t begin to detect. And the smellier the better. The more stinky, the more intriguing. 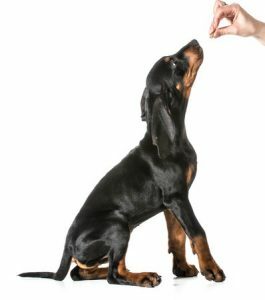 When using positive reinforcement training, this is an absolute plus for the owner. The smellier the treat, the quicker your dog will tune in, focus and give you what you want in return for something he wants. The treat is NOT the real reward; tuning in to you and giving you what you want for something he wants in return is the reward…for both of you. Dogs are not inherently designed to please anybody other than themselves. This one always makes at least one person in my class balk at that notion. “But, he adores me. He just wants to please us. He’ll do anything for me.” Really? Then why are you spending your Monday evenings and $175 to take a class to train him if he’s so eager to please you? Why doesn’t he come when you call? Why does he chase deer, rabbits, eat elk poop, and duck when strangers reach for him when he supposedly “knows” what you want him to do and not do. Dogs love stinky, smelly, squishy stuff. It’s a fact. The nastier the smell, the more they want to get to it. Again, a bonus to owners who are intent on training their dog to have a quicker response time to behavior they want and to ease out behavior an owner isn’t fond of. All dogs are predators at heart, whether they are a Dachshund or a Malamute. In other words, they are wired to chase, chew, shake things in their mouths, dig, bite. When you are running towards a dog, it’s a game. When you teach a dog to chase you, in your initial work with recalling, you are (unbeknownst to your dog) kicking in your dog’s predator drive to chase. We teach recalls/come in my class, by holding a smelly treat under our dog’s nose, saying, “Come, come, come” in a high, happy voice and running away from the dog. “Come” becomes a game of chase—only now he’s chasing after you instead of running away from you. It taps into everything that gets a dog’s attention and curiosity aroused. Nearly all breeds of dogs are pack animals. Wolves are the social equivalent of an Italian family; they have aunts and uncles that babysit the youngsters at the den while the parents and other members of the pack are out “grocery shopping.” Dogs are the same way. If you head to the bathroom, guess who is in there with you? Dogs love their packs, both human and canine. Humans are simply not enough for dogs. They need their own kind, ones that speak their language, that enjoy their style of play, that thrive in their company. Having a dog that only hangs out with humans is like dropping someone into a foreign country that doesn’t speak the language and expecting them to have a great time. What they have instead are feelings of isolation, confusion and generally feeling lost for the vast majority of the time. It’s the same with dogs. You are not doing your dog any favors by limiting her exposure to other dogs in a safe, supervised setting. What you are doing is depriving her of the joy of companionship with her own kind. 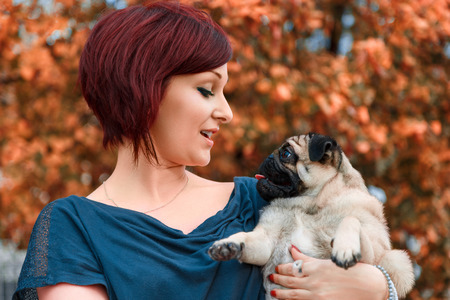 Learning to speak canine opens the door to a brand new kind of relationship with your dog. It strengthens your bond because you are both speaking his language. You are using body language and hand signals and tapping into his world instead of insisting that he only live in yours. By speaking his language and giving him what he needs, as well as what you need, you are making his world larger and a whole lot more fun. You’re accepting that your dog is not a human. You are putting aside human expectations of him and allowing your dog to be a dog and there is no greater gift in the world you can give your pet.